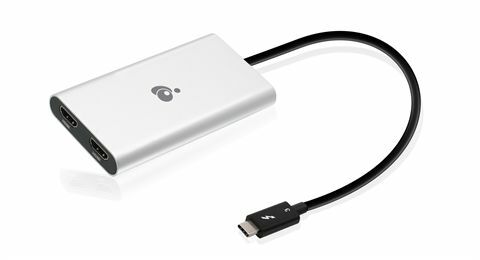 Plug in the IOGEAR Thunderbolt 3 to Dual 4K HDMI Adapter to your Thunderbolt 3 laptop for a ready-connection to two 4K HDMI displays. Since Thunderbolt technology offers a direct connection to the device's board, it will not drain your laptop resources or impact system performance. 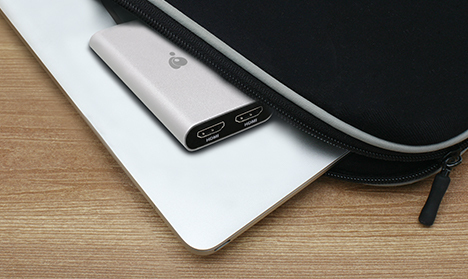 Instantly expand your Thunderbolt 3 port creating two HDMI ports for high-quality 4K video output @ 60Hz without an adding an expensive graphics card. 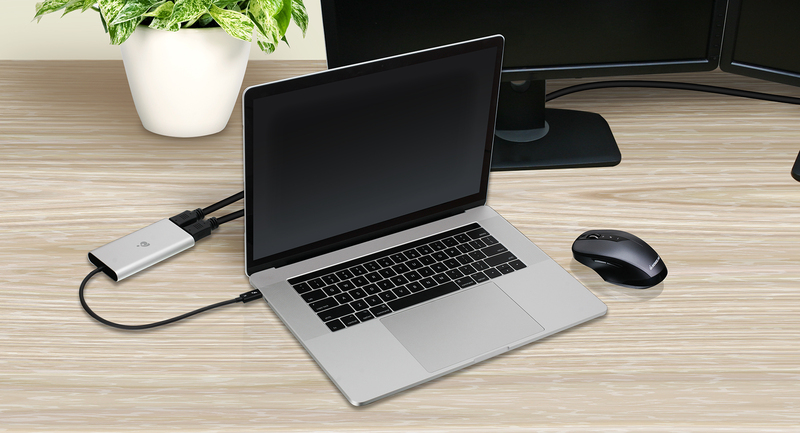 Enjoy stunning photos and 4K video applications at uncompressed, full graphics performance with your MacBook Pro, iMac or other Thunderbolt 3-compliant Windows computer. 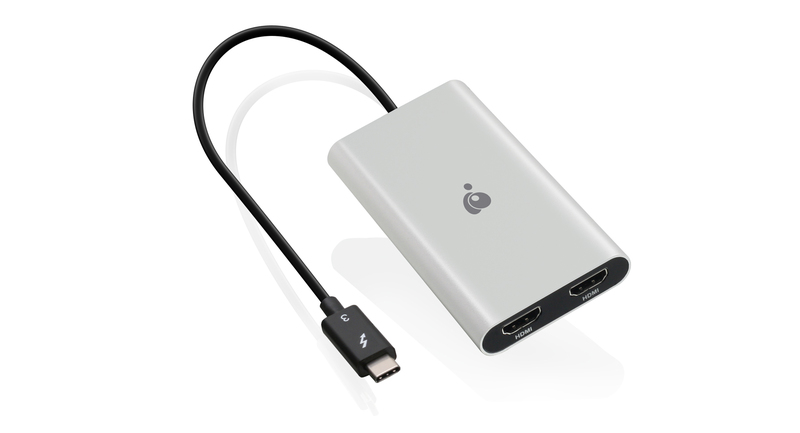 The HDMI Adapter is designed for flexible portability from its high-quality alloy to its portable compact size. 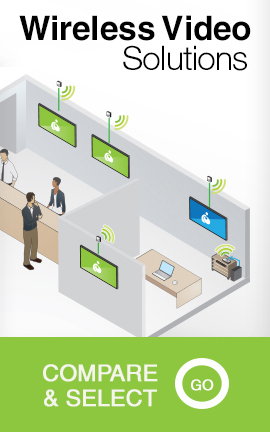 Whether you are in the office or on-the-go, the adapter provides superior video images rivaling desktop graphical workstations. Optimized with high-end circuitry, the bus-powered adapter eliminates the need for an external power supply.